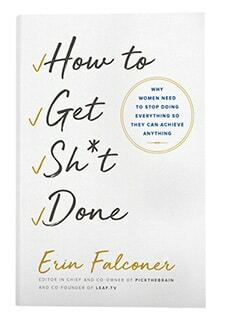 The Power of Honesty: Is It Really the Best Policy?Pick the Brain | Motivation and Self Improvement The Power of Honesty: Is It Really the Best Policy? 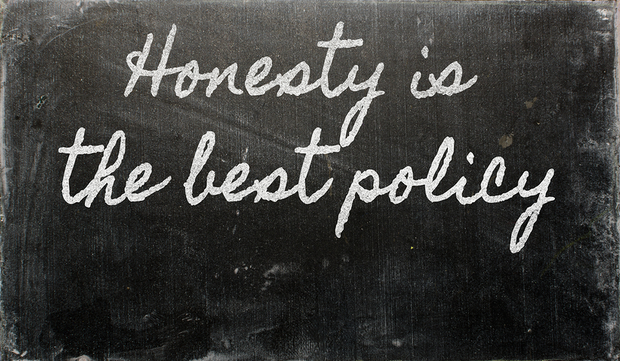 The Power of Honesty: Is It Really the Best Policy? Honesty is a concept that dates back to the foundations of human history. Most religions that humans practice today are built on a concept that humanity was actually dishonest. The consequences of choosing a lie over choosing honesty can sometimes be very grave. This is why most employers look at honesty and integrity as the primary attribute sought in a new employee. It’s also why relationships function better when honesty is constantly present. The power of honesty goes beyond the ability to get a job or have your sins forgiven. Honesty is a way of life that provides you with the best policy possible: when you are honest, you don’t have to remember a lie. You can always be yourself. There are dozens of leadership theories that exist today. All of them seek out to explain why leaders make certain decisions in the way that they do. Although there are numerous variations within these different leadership theories to account for the differences that each unique leader can bring to the table, all of them have one thing in common: leaders must be authentic. Authenticity is the spice of modern life. Without authenticity, there cannot be an honest relationship between two people. Sometimes honesty means providing information to someone that they may not want to hear. We might choose to justify a small, white lie because we want to spare someone hurt feelings. The authentic person will take honesty and combine it with sensitivity. Instead of creating a lie so that a warm, fuzzy feeling can be experienced, an honest approach that takes potential hurt into account is taken. This gives authentic information in a way that won’t hurt that person’s feelings. Think about it like this: you could tell someone that they look fat in those jeans, but that would hurt their feelings. You could tell someone that they look great in those jeans. That’s a potential lie. Authentic honesty takes these two extremes and incorporates a middle approach. The natural tendency of the average human is to move as far away from pain as possible. Any negative feelings have the potential of causing pain and that’s why it is so easy to justify not being honest in certain circumstances. If being honest can bring about a consequence, but a lie can bring about a reward, then it is very easy to choose the lie above the honesty. This is why it takes a lot of courage to be honest from day to day. The problem with a lie is that we always have to justify its existence. The moment that we need to start creating justifications, what we are really doing is creating what we feel will be a legitimate excuse. An excuse is a lot like a mother’s lullaby – it soothes our soul and makes us feel better about the fact that we’ve really made the wrong choice. Excuses can only take us so far. Eventually the internal conflict that a lie creates must have a resolution. We are left with two choices: attempt to make the lie become a truthful reality or admit to the lie with the consequences. What choice are you making today? Honesty is telling the truth, not only to others but to ourselves as well, it is an essential principle for experiencing the truth. One of the most effective ways to experience the extraordinary in any day’s ordinary moments is to practice mindfulness. The concept of mindfulness is that we pay more attention to every moment that we encounter throughout the day. Instead of touching your desk at work, pay attention to how cold or warm it is. Feel the roughness of the texture that’s been placed on the cubicle around you. When you grab a quick sandwich at lunch, focus on the flavors that have been mixed together. Mindfulness cannot occur if honesty is not present. If mindfulness is not present, then stress quickly takes over. Sometimes we need to have the courage and strength to say the things that need to be said. At other times, we need the courage and strength to just keep our mouths shut. Sometimes it’s just fine to say nothing at all! The only problem is that saying nothing is difficult to do when we are so accustomed to having information all around us. Is silence a lie by omission? That’s up to each person to decide in their own circumstances. Honesty is not always an easy or convenient companion, but it is the right road to take. We have no control over what anyone else might choose to do. What we do have control over is our individual nature. The average person faces 20,000 different choices every day. In those choices, there is always one of two options: to be honest… or to be dishonest. A lie might be able to sway someone in the short term, but long term changes can only be developed through the process of logic and reason. Lies are only used to accomplish selfish gains. Honesty and integrity is used to edify all of those around instead. The greatest way to find success is to build up everyone around each one of us. Only honesty has the ability to do that. Logic and reason also have a second advantage: it gets people thinking about their own perspective. You can’t force anyone to change their mind. What you can do is give that person honest information that will allow them to reevaluate their position on any given subject. That’s how true change in any community can be achieved! How Do You Define Being Content? In our modern society, we often define wealth as being physically rich. True wealth, however, comes from a life that is 100% content in any given circumstance. There is a unique component about lying that is often overlooked: we cannot be content when a lie is currently active. You might be able to get a job by being honest. You might be able to create closer relationships when you decide to stop lying. What really happens is that you are creating a life that will be filled with contentedness if you stress a policy of always being honest. You are also creating a life where you are treating others in the way that you would like to be treated. Here’s a final thought: we often stress that we should do unto others as we would like to have them do unto us. Even a simple lie, such as telling someone that it’s fine to have a conversation at this very second when there’s other things you’d rather be doing, is in fact you giving that person permission to lie back to you if they feel it is necessary. The power of honesty proves that it really is the best policy. You might not get rich, but you will become content. When you can go to bed tonight and have a clear conscience because of being honest, there is no better feeling in the world. One Response to The Power of Honesty: Is It Really the Best Policy? I Think it is necessary to lie, because in a society where everyone tells the truth would be something chaotic. From the point of view of, beginning that not everyone feels good and tell him the truth about his appearance, his thoughts etc. Because This person thinks that it is well according to it, and that is where the controversy begins because not all think alike and therefore not all will agree with the same and will be different points of view. In conclusion It is good to be honest and you have to practice every day but lying not out of the outside in every one of us in everyday life.